2012 X-factor finalist, William Singe is best identified as Australian singer whose online videos earns hundred million Youtube and Facebook Viewer. He is famous for his hit tracks which include numerous R and B pop, hip-hop and rap covers. 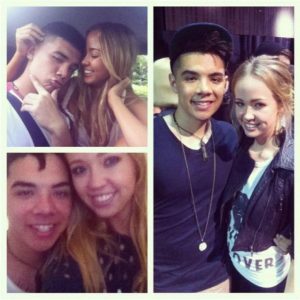 Liam Anthony "William" Singe was born on 2 July 1992 in Sydney, Australia. He was raised in Forestville and belongs to Maori Australian Descent. He enrolled at St.Augustine's College in New South Wales for graduation. While in school and college, he was creative and fond of music. 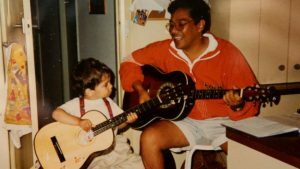 Inspired by his singer and songwriter father, he began recording music from his early age. Choosing the footstep of father, Ray Singe, he learnt playing musical instrument like piano, guitar, and bass. After completing his education, he worked in Common Wealth Bank as a bank teller. William Singe started his early career from X-Factor season 3 in 2011. However, he didn't make to the end and again auditioned for the fourth season in 2012. In the 4th season, he reached to super boot camp stage and scored the third position in the finale. As a finalist on the X Factor 2012, he joined boy band "The Collective". 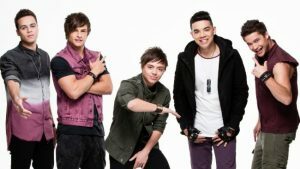 The band members were Trent Bell, Julian De Vizio, Zach Russell and Jayden Sierra including himself. Their first debuted single "Surrender" reached to the top 10 in the Australian Record Association(ARIA) charts. William Singe with his band "The Collective"
The Collective band signed the contract with Sony Music Australia and released 7 single including one self-titled album. Unfortunately, their following singles were unsuccessful and he left the band in frustration. He made an official announcement to quit the band on 18 February 2015. Singe pursue his solo career in 2015 after leaving his band The Collective. In the initial phase of his solo career, he recorded cover tracks of famous contemporary singers. He began to sang the cover song of Justin Bieber, Adele, Drake, Fetty Wap and soon and uploaded the videos on Youtube and Facebook. In 2015, he did 6 cover videos from which he gained 20 thousand followers on his Facebook page. Soon, he rose to fame and achieved two million followers after he uploaded 44 additional cover videos on his social site. He made a remake of Drake's Hotline Bling which reached to the top of Spotify's viral chart collecting 12 million viewers. His incredible singing ability and creative songwriting are attracting lots of public attention and he is called an online superstar. With the growing popularity, Youtube sensation, Singe signed a multi-million dollar record deal with RCA, which is also called the label home to Miley Sirus, Shakira, Justin Timberlake, Sia, and Usher. Then after, he released his solo single "Rush" in 3 February 2017 which accumulated a million viewers on Youtube and soon he become a superstar. He is having a successful career and often went for concert tours in Australia, Asia, Europe and the United States. William Singe is a successful musical artist who has more than million followers on his social sites. He has lots of female followers but he is never engaged with anyone seriously till now. But he was in a relationship with ex-girlfriend Elise Doctor, a model from New South Wales, Australia. They resembled perfectly cute couple during the time of their affairs. They hit the limelight while their romantic pictures were out. However, their love story ended and the reason behind their break-up is yet not revealed. Currently, he is single and focused on his professional life rather than love life. A viral superstar, Singe is pursuing his career as Singer, Producer, and Musician. The hard work and dedication towards music have made him high commodity artist. Although he was not successful initially, later he picked his career to the height of success with his solo performance. Sam Smith's Lay Me Down and Calvin Harris's How Deep is Your Love were popular reinvented songs which earned lots of viewers and subscribers. His creative remake of Drake's Hotline Bling increases his fan base of Facebook and Youtube excessively. Now, he earns excessively as he is associated with RCA, dealing multi-million records. It is estimated that he accumulates net worth more than$ 2 million as of 2017.